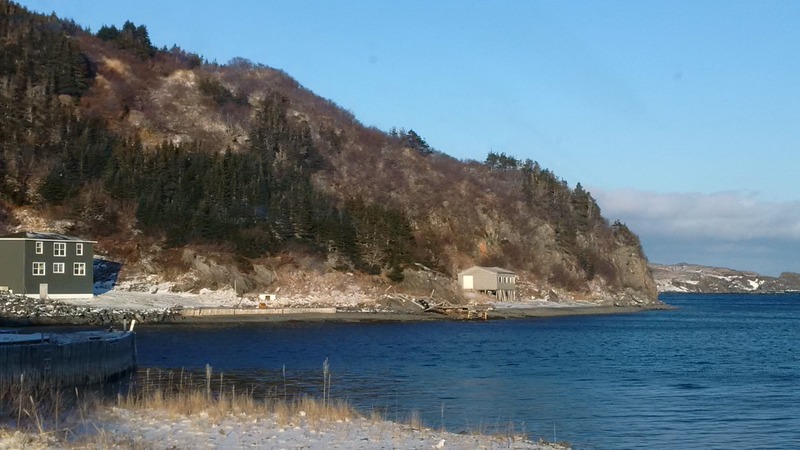 Traveling the Great Northern Peninsula on Route 430 (Viking Trail Highway) en route to L’anse aux Meadows World UNESCO Site or to Quebec or Labrador via the Strait of Belle Isle Ferry crossing, Black Duck Cove presents the perfect stopping point. 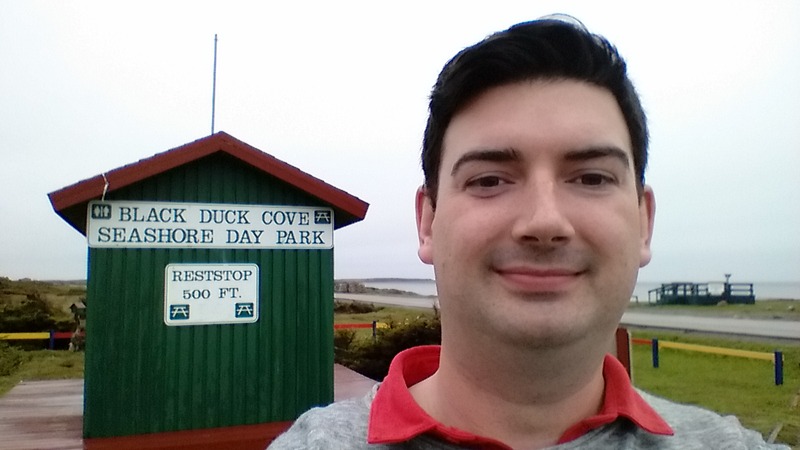 The Black Duck Cove Seashore Day Park provides a picnic area, play ground, viewing binoculars, open air museum of Newfoundland vernacular architecture. walking trails, bbq area, miniature golf and basketball courts. It’s a great rest stop to enjoy life by the sea. 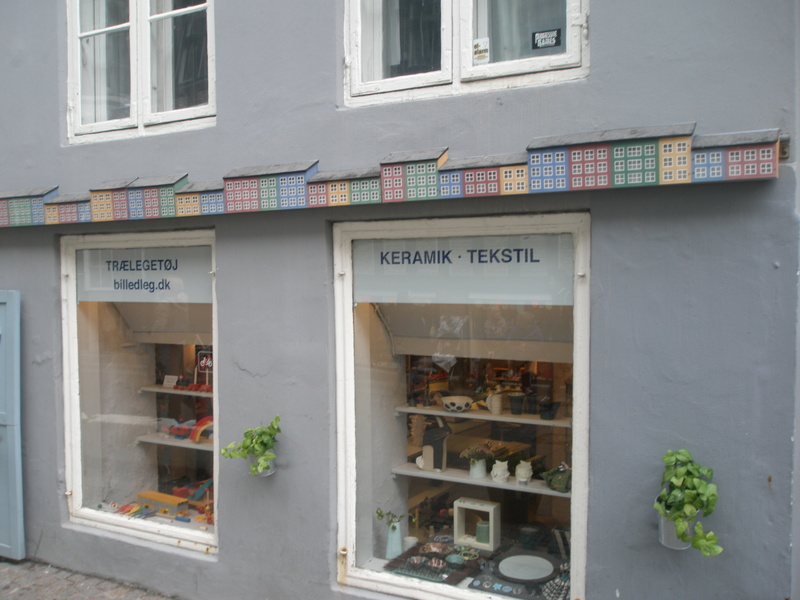 The concept of an open air museum is not new, as I’ve visited many on my European travels. 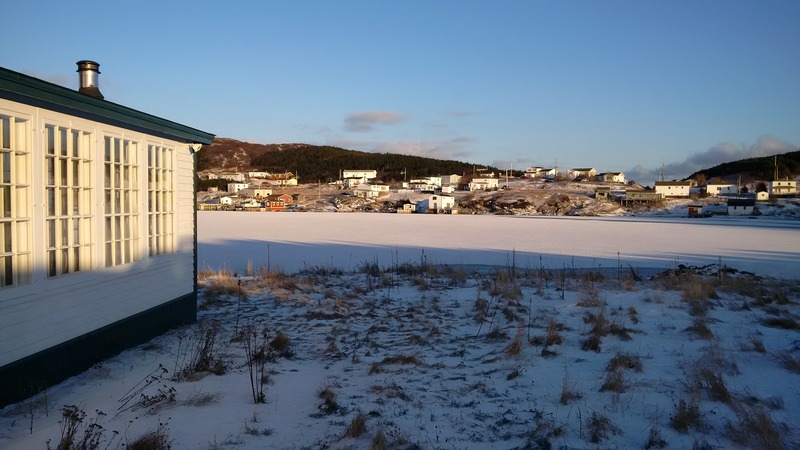 I’m impressed that this economic development project is a step back in time of what the small outport community living looked like – from the one room school, church, wharf, hall to homes. These handmade buildings replicate our rural life and are wonderful to view and take a snap or two. This concept could be taken a step further and explain the building process, tell the stories of who owned these homes and the pioneers that built and shaped the community. This area needs better directional signage to guide you to this almost hidden space. It’s almost a locals know kinda of gem. Since location is less than ideal, this fantastic space needs to be further promoted and expanded upon. As you take the paved road and drive pass the Black Duck Cove wharf and shrimp plant, you will encounter lobster traps neatly piled, fishing gear and boats sitting on the grass. Our history, our heritage, our culture and life from the sea is well on display – both past and present at Black Duck Cove Seashore Day Park. It is an experience in itself. 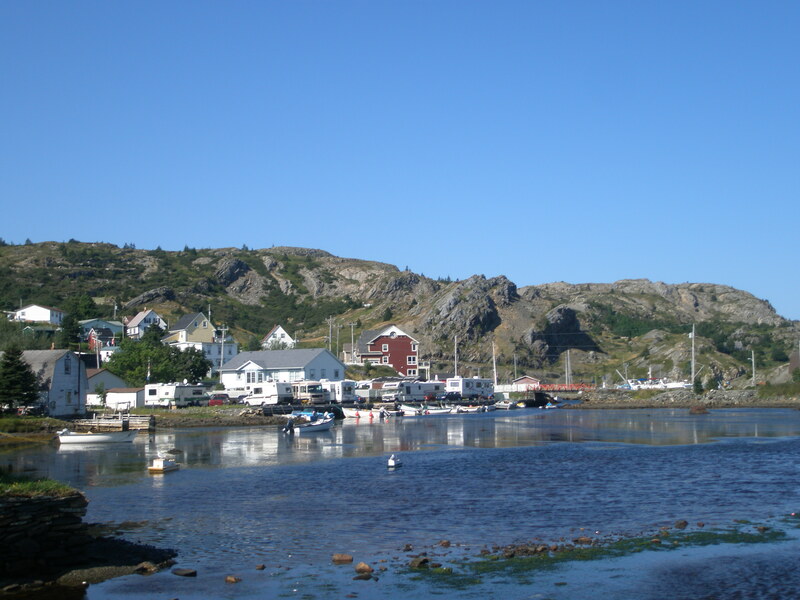 The Town of St. Lunaire-Griquet and Gunner’s Cove on the Great Northern Peninsula are completely picturesque and there is no wonder more than 30,000 visits during the summer season. This place is steeped in history from the Aboriginals, Vikings, French, English and other settlers given the presence of the mysterious markings at St. Brendan’s rock. The presence of traditional saltbox, biscuit box or two-story homes can be viewed along winding roads with ocean views and craggy coastlines. There are many unique pieces of vernacular architecture you will not want to miss on your visit. There will be root vegetable gardens near roadside and flakes of salt cod drying in the sizzling summer sun. A host of accommodations are available from motels, cottages, cabins, bed & breakfasts, vacation rentals and hotels to meet any travellers needs. There are unique attractions, a network of walking trails, eco-museums, craft and carving shops, boat tours, festivals and an array of activities in the surrounding areas from the Viking Settlement, Norstead Viking Village and Port of Trade, Burnt Cape Ecological Reserve, Raleigh Historical Fishing Village, Grenfell Historic Properties, Radio Quirpon, Coffee Shops, Kitchen Parties at the Legion and Screech-ins at Skipper Hots with traditional music by the Skipper Hots band. People come and are wowed by the icebergs of the Great Northern Peninsula. They are much larger as they snuggle into our harbours and coves. Watch small boat fishers as they bring in their daily catch or have a yarn at the small wharves. 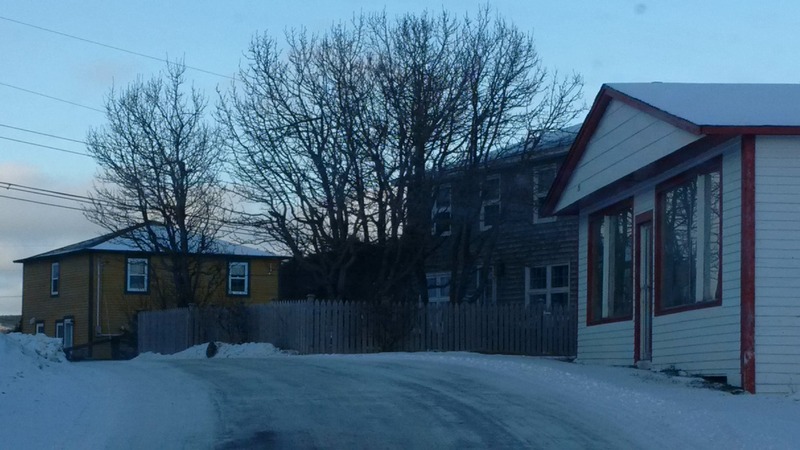 Rural Newfoundland & Labrador is truly about interaction with out people. The Great Northern Peninsula offers a truly unique and authentic experience. The culinary experiences are exceptional, with two of the restaurants ranking in the top 10 for the best fish n’ chips in Newfoundland & Labrador. 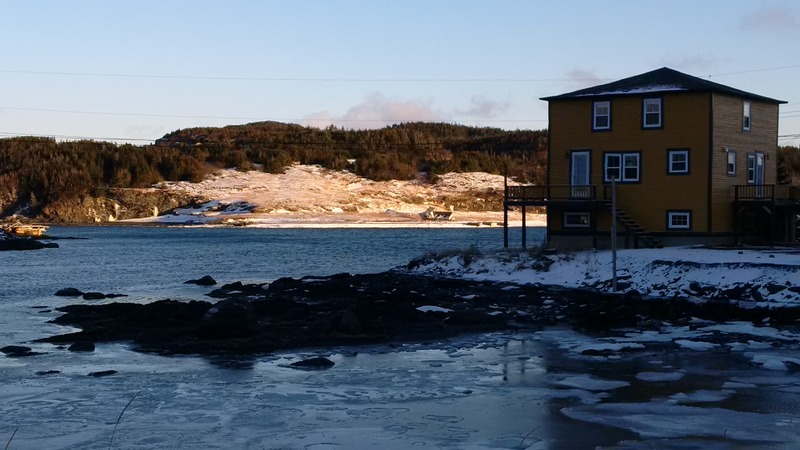 The Daily Catch, Snow’s Take-out and Dark Tickle Cafe are in St. Lunaire-Griquet, with Northern Delight in Gunner’s Cove. 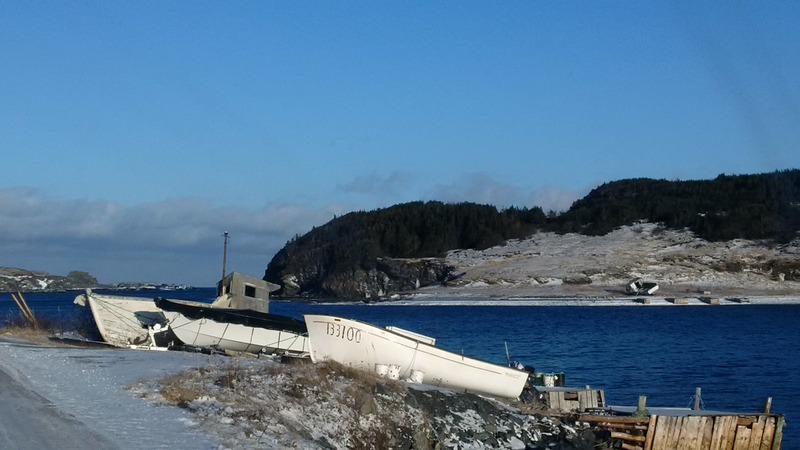 L’Anse aux Meadows is home to the Norseman Restaurant, Coffee in the Cove at Hay Cove and Burnt Cape Cafe in Raleigh. 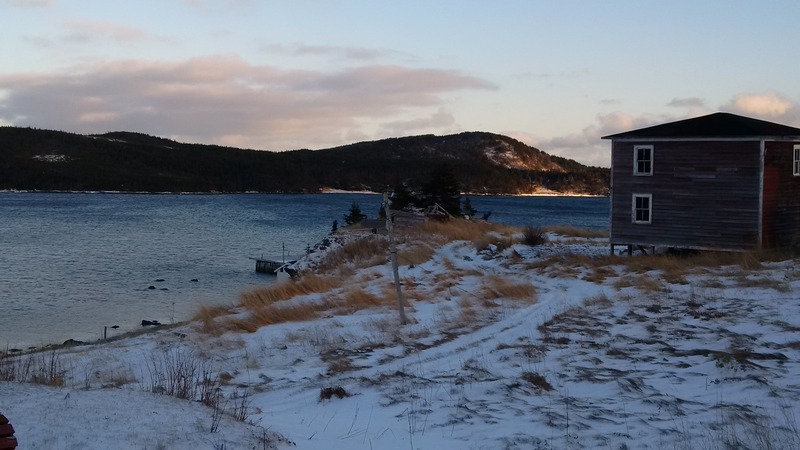 The tip of the Great Northern Peninsula is the perfect get-a-way to be one with nature. Moreover, it has the distinction of being the one place in the world where humanity came full circle – an event more than 100,000 years in the making! 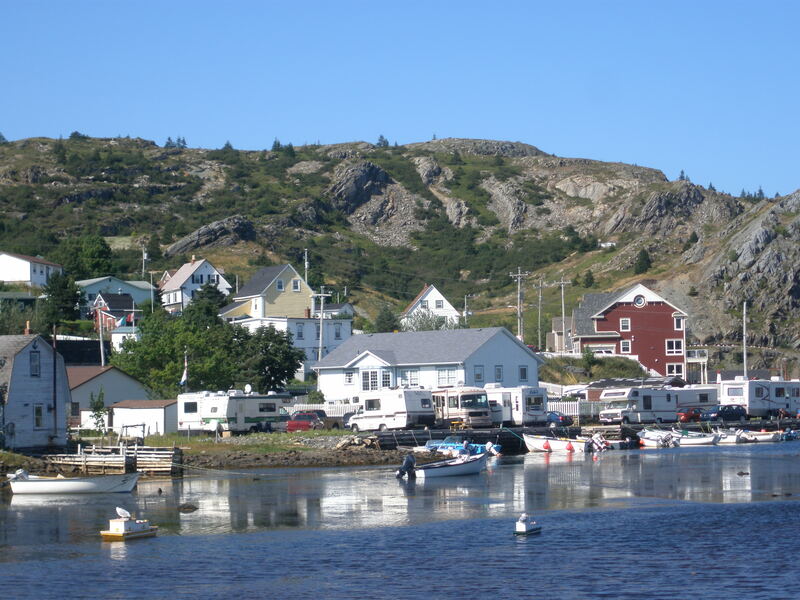 Now that you know there are lots of places to stay, eat and experience – pack your camera and begin planning that trek up the Great Northern Peninsula and start snapping images of the picturesque communities of St. Lunaire-Griquet and Gunner’s Cove on Newfoundland’s tip. 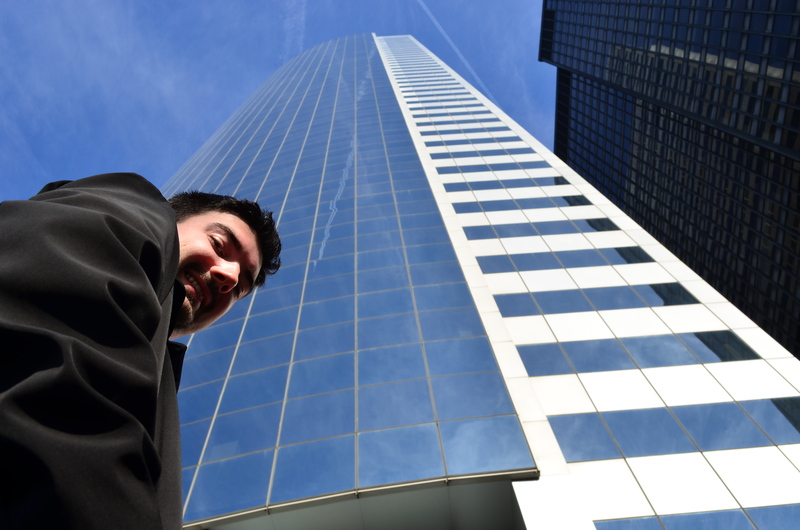 “Look Up, Way way up” – is a line I remember from the Friendly Giant. It is fitting in New York City where the skyscrapers are far-reaching. 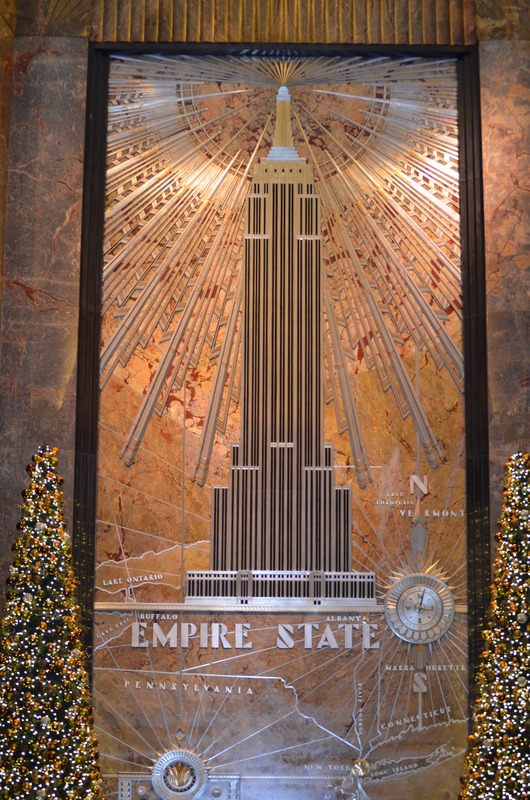 A visit to the 102 story Empire State Building – currently the tallest building in the City, stands at more than 440 metres. We took the elevator up 86 floors. 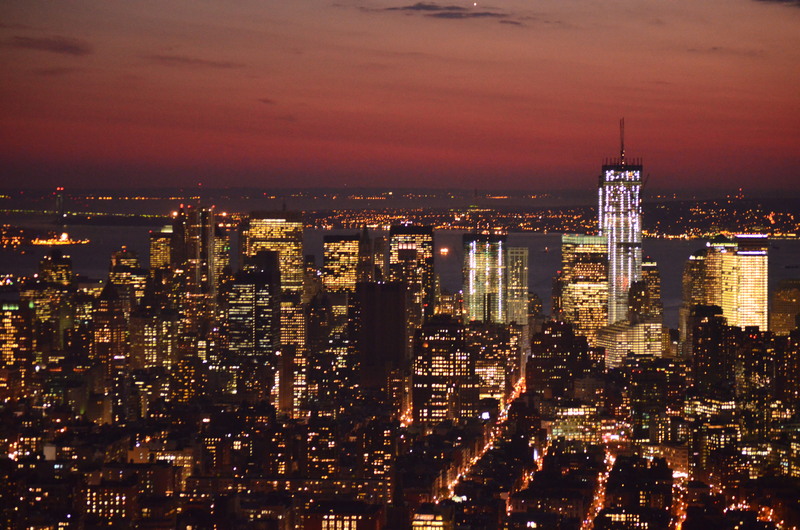 The skyline of New York City is breathtaking. The buildings seem to go on for miles at 360 degrees. It is not my community where if you do look both ways – you could see it all. We arrived at the top as the sun was setting and darkness began to fall. 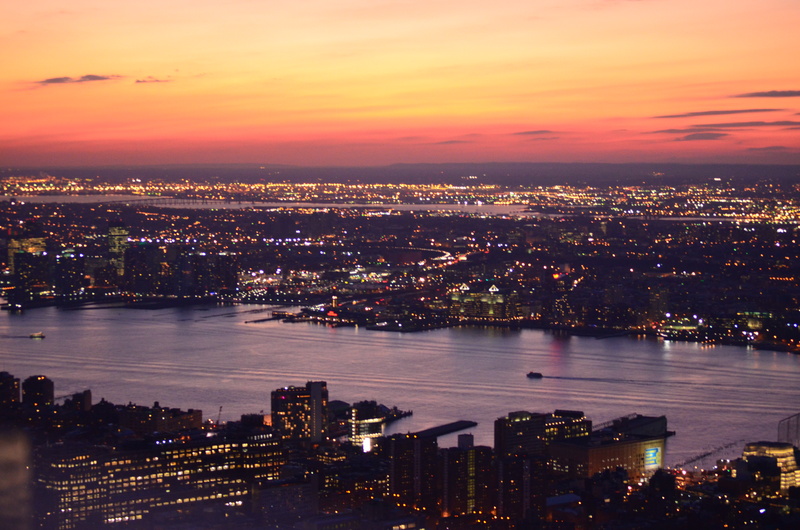 The sky had magnificent hues of yellow, orange, red, pinks and blues as the lively city began to turn on its ever so bright lights! There is wonder in the architectural surroundings of this city. We were successful in being photo-shopped into an image with the Empire State Building in the background. A great family portrait! 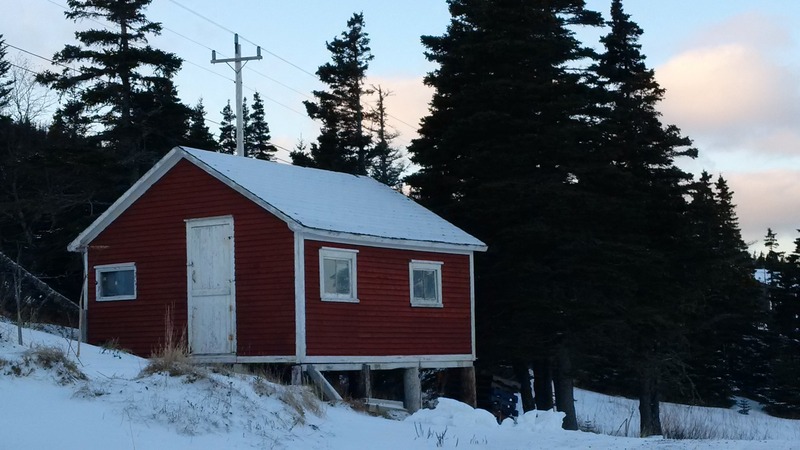 On the Great Northern Peninsula it would be difficult to find a building that reaches more than 3 stories. The views are quite different – the homes, water and boats in the background. 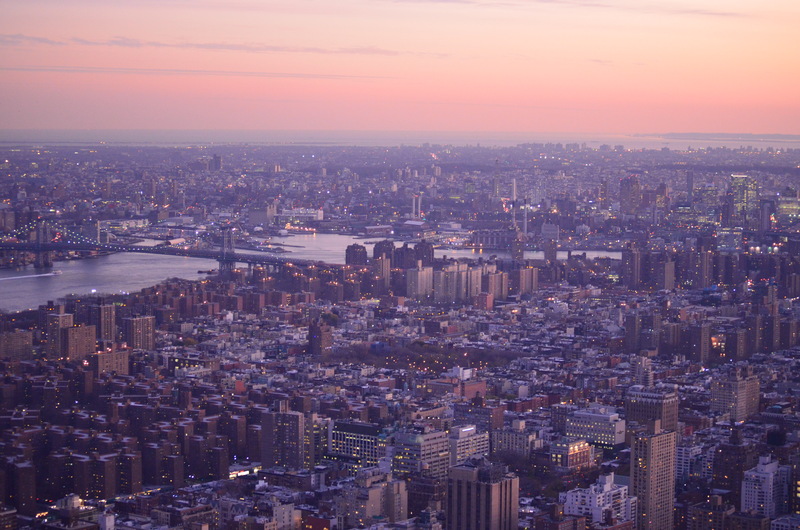 Every place I visit, offers something unique – New York is one that will take your breath away.